Last updated 20 November 2018 . By Anisah Audu. Baileys-spiked hot chocolate? The ultimate winter warmer. You can forget about booking a winter getaway this year because FEST Camden have launched their Winter Chalet pop-up, bringing a slice of the slopes right to your doorstep. Get cosy on the rooftop with a hot water bottle, snuggle up with blankets and watch as a snow machine gives you all the alpine feels. If that wasn't enough? There's a cinema and live entertainment to boot. Expect a festive feast as a brand new menu brings melted cheese wheels, stone-baked pizzas, bacon-topped cheeseburgers and more to the table. 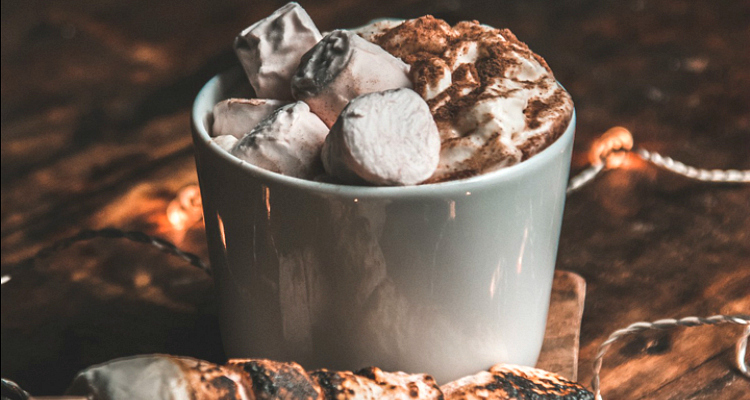 There's even a Sunday Roast offering and a selection of exclusive cocktails including Cinnamon Old Fashioneds and Winter Sloe Negronis... though we've got our eye on the Baileys hot chocolate topped with toasted marshmallows. The FEST Winter Chalet is now open at FEST Camden. Get cosy at Camden Stables Market, London, NW1 8AH.